A once in a lifetime opportunity to witness a total solar eclipse – what an experience! 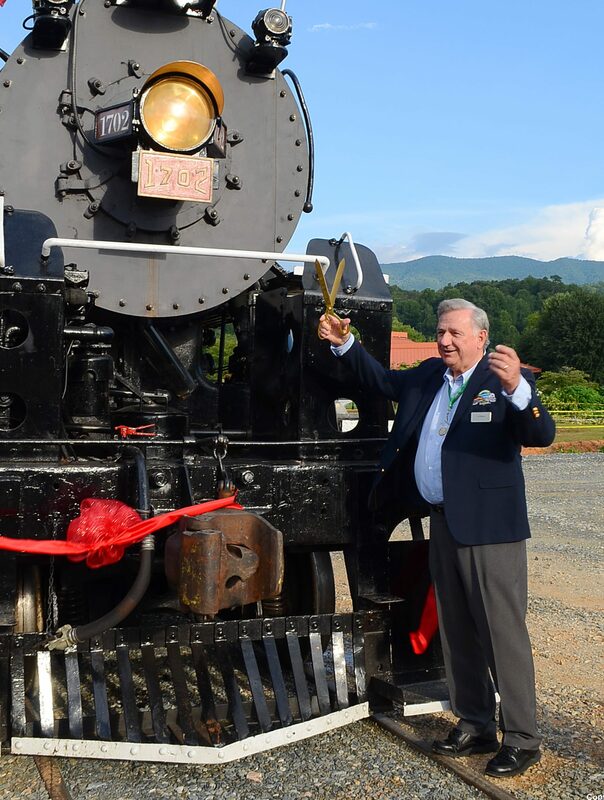 The Great Smoky Mountains Railroad hosted a Solar Eclipse Train on August 21, 2017. 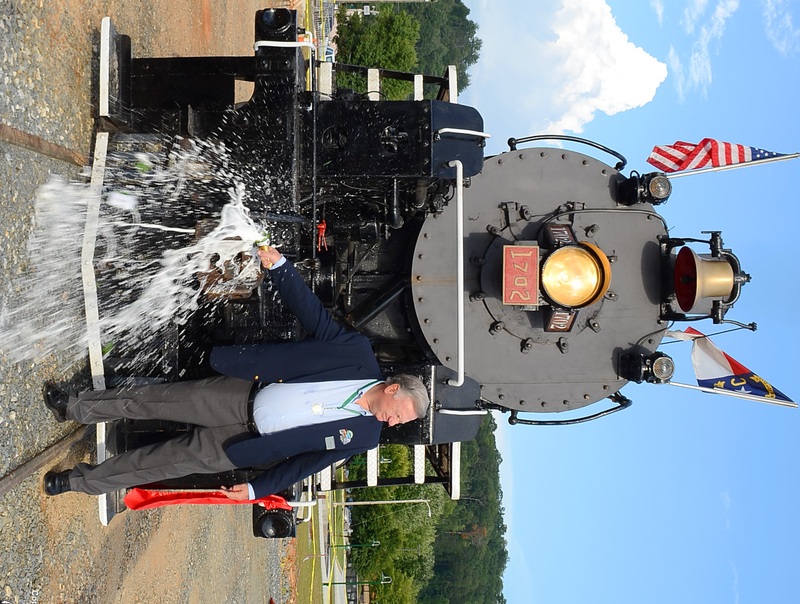 With over 600 passengers aboard and a passenger train that extended more than 12 cars, 2 diesel engines, and 1 steam locomotive, this specialty train made tracks to Dillsboro for a two-hour layover and high expectations for a great show from nature. While in Dillsboro passengers were able to enjoy live music, shopping, restaurants, and various food vendors. The highlight of the excursion was the one minute and fifty-seconds of 100% totality; whistle blasts from 1702 were used to signal the beginning and end of totality. During this rare event our town alone received over 60,000 guests in under 3 days! GSMR staff and both diesel and steam crews did a fantastic job keeping our locomotives running and our trains on time. A day we will never forget! This year is turning out to be very special for 1702, stay tuned for more announcements coming soon! To view 1702’s operating schedule click HERE. 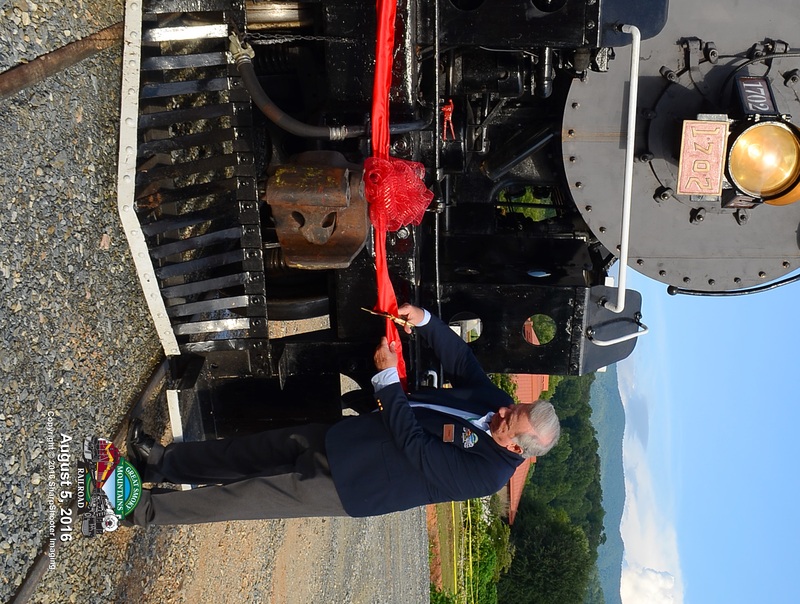 Just a quick update from our Project Manager, Tom Falicon on the turntable in Bryson City! Ties have been installed on the deck of the turntable bridge. The longer ties support walkways so the crews can walk past the engine while it is on the turntable. Short ties have been cut and are being installed under the turntables ring rail. A storm water control manhole assembly was installed in order to create a central location for all storm water to be pumped out to a newly excavated retention pond. 18 cu. yards of concrete was poured into a pit to create a solid base for our locomotive inspection pit to rest on. This month both the precast concrete inspection pit and the precast concrete bridge for the rail passing over the nearby creek will be installed.